Material: Stainless steel AISI 304 or AISI 316. Resistance to water, water vapour, resulting humidity and weak organic and inorganic acids. Polished products increase the resistance/ improve hygiene by reducing the surface area. 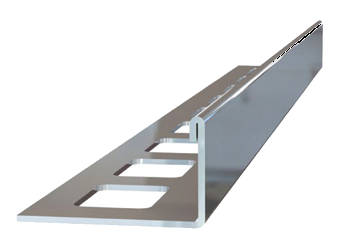 There are special trims available in Grade 316 stainless steel which are acceptable for use in a swimming pool environment (note that the trims made from Grade 304 stainless steel are not suitable for swimming pools). 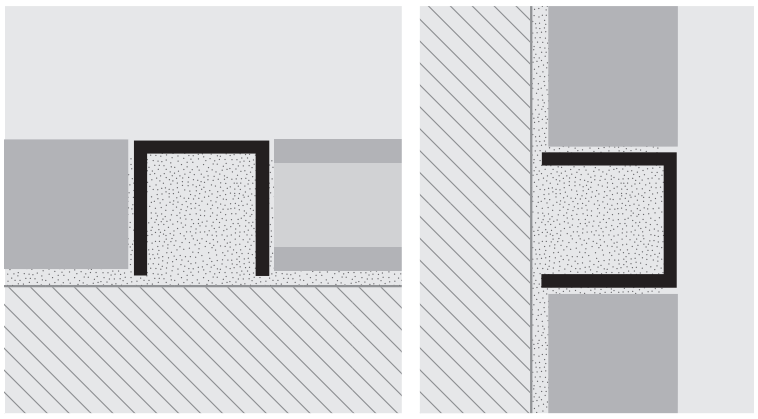 SPECOM is a professional edging profile used mainly to join similar or different floor materials (e.g. 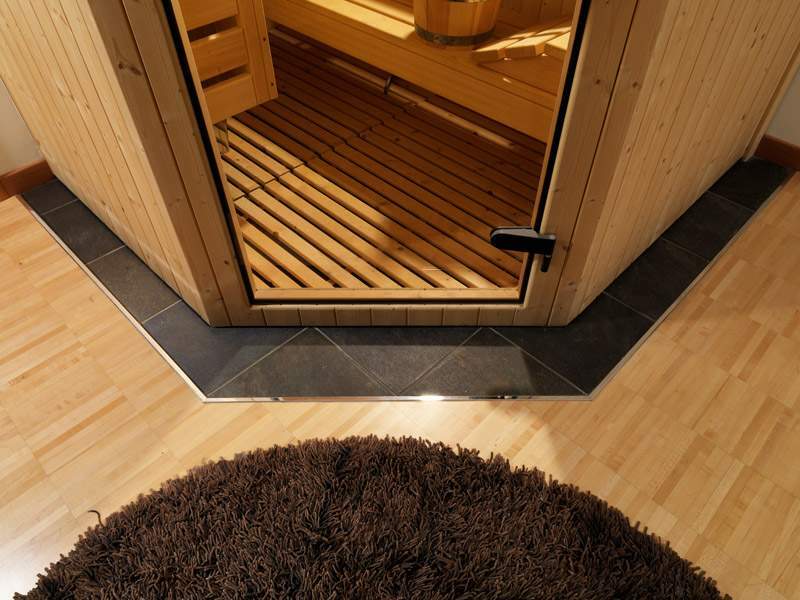 tiles/tiles – tiles/parquet/ marble/laminates/carpeting /linoleum, etc.) of differing thickness. SPECOM in stainless steel is also used to protect steps and decking, as a floor edging profile and skirting covering. .
SPECOM are manufactured with the same forms and sections, as well as in the very resistant material, the stainless shiny steel 316, suitable for outdoors and marine environment with much presence of saltiness and considerable atmospheric agents. 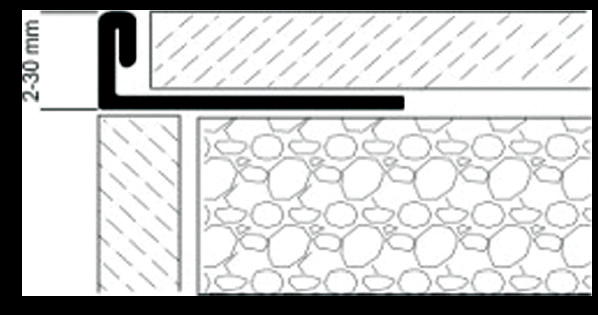 They are used as protection for the external angles of tiles, in order to separate or to create the separating joints in the pavements, to terminate the finishing of wall coverings, for platforms, stair steps, bathtubs, etc. They guarantee the impeccable work, ensuring considerable aesthetic effect as well. They strengthen the tile edge and prevents from chipping and breakages. Required by new European regulations on safety and accident prevention in public and private places. 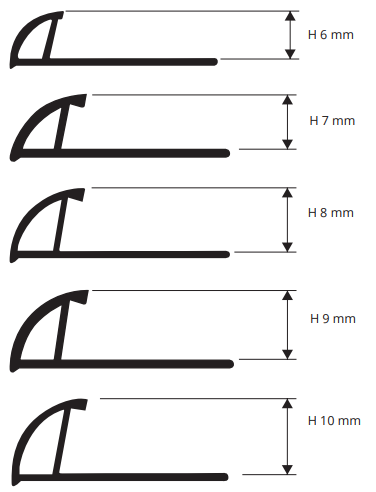 SPECOM is a professional edging profile used mainly to join similar or different floor materials (e.g. 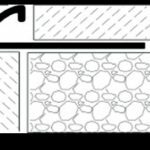 tiles/tiles – tiles/parquet/ marble/granite, etc.) 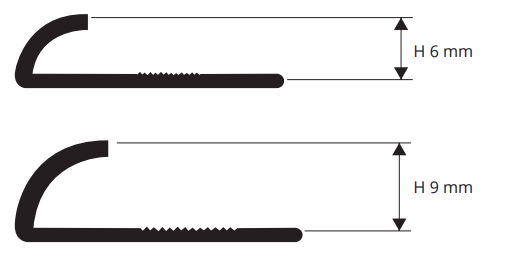 of differing thickness. 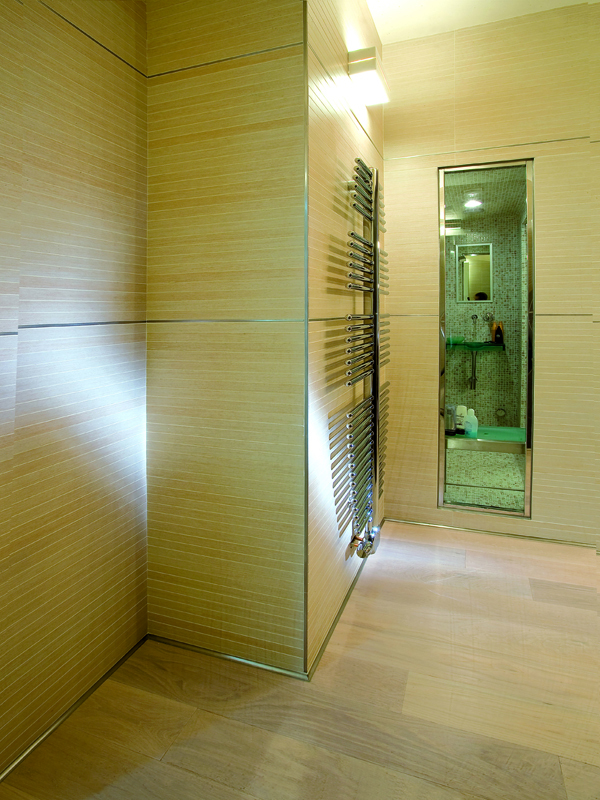 SPECOM in chromed brass is mainly used to protect and decorate the outside corners of tile coverings. 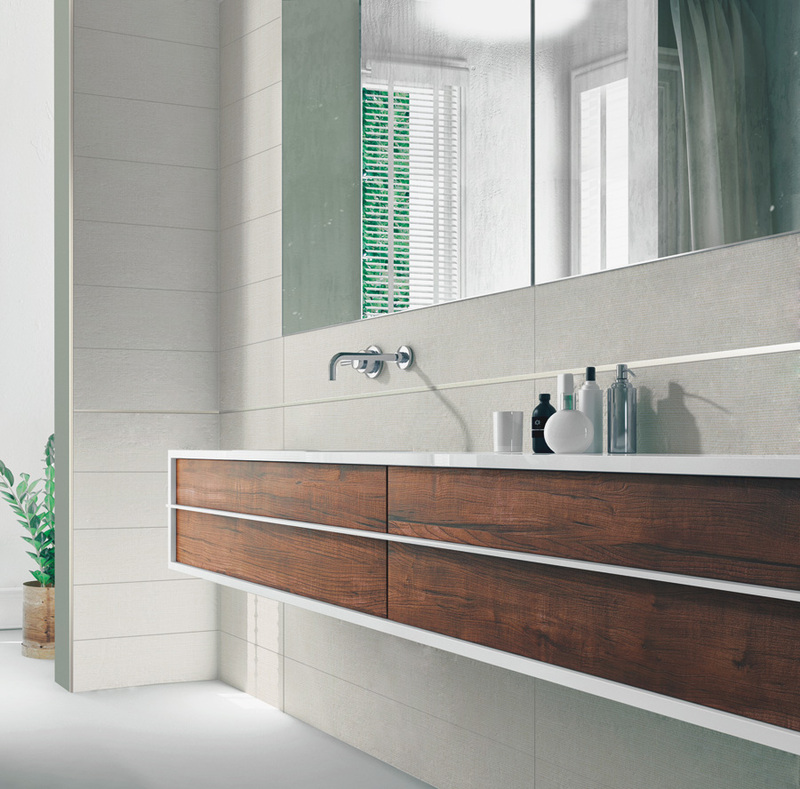 The particular shape and design of the profile protect the tile edge and absorb any stress. 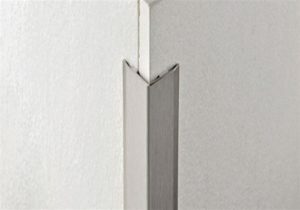 SPECOM is a professional edging profile designed to protect and decorate the outside corners of tile, mosaic and marble coverings of differing thickness. 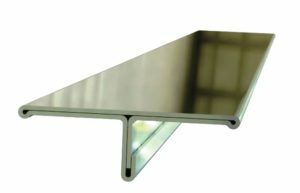 SPECOM in aluminium is also used to join different floor materials and to protect steps and decking. Excellent as the edging trim skirting and for bathroom and kitchen wall coverings. Match with PRO-LISTEL ALL strips in anodized aluminium with silver and polished chrome finish and with PRO-LISTEL ACC strips in AISI 304 stainless steel with polished or satin finish. 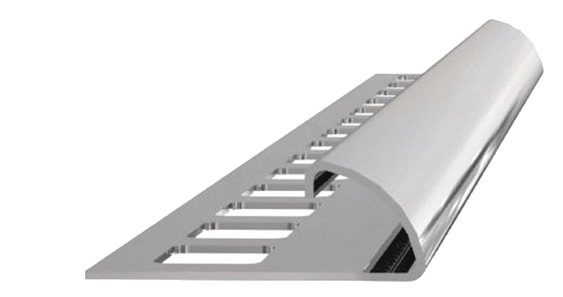 SPECOM is a professional edging profile in painted aluminium. 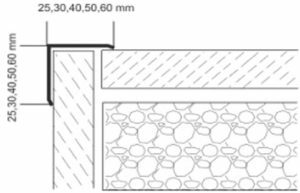 It is used to complete the laying of outside corners when tiling, protecting the external edges against impact and chipping. SPECOM may also be used as an edging trim for skirting, carpeting, for epoxy resin coatings or for bathroom and kitchen wall coverings. The new profiles create a material effect thanks to the material in aluminum glazed with epoxy powder in special oven. They are available in different measures – from 6 to 25 mm of height -, and it is also possible to choose among 12 different shades from white to sandy, grey, black and brass. 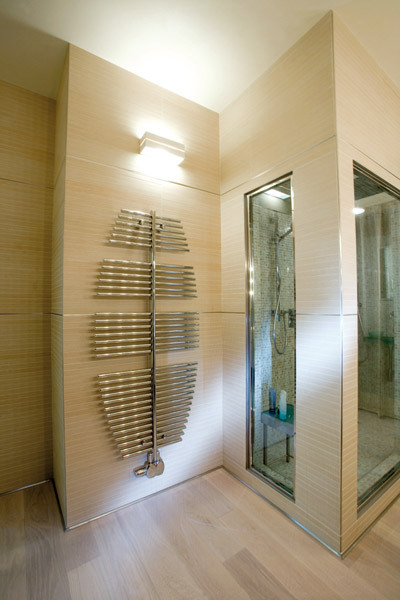 This elegant and sober decorative listed’ line gives a plus to every space, guaranteeing the high quality of materials. “SC” facilitates installation, eliminating the fragile ceramic trim. It is used for outside corners of tiles to complete the finish of wall coverings, decking, steps, bathtubs, etc. Impeccable, precise work is ensured with a superior aesthetic effect. It strengthens the tile edge, thereby preventing chipping and breakages. Required by European standards for safety and hygiene in public and private environments. 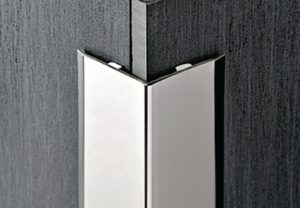 Available SC MIRROR LINE Hand polished to create a SUPER SHINY finish, to respond to modern/high tech needs and requirements with aesthetic and decorative finishes. 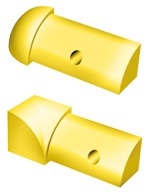 End caps and three-way inside and outside corner linking elements are available. Match with the SPELISTEL strips in stainless steel AISI 304 with polished or satin finish. SC are manufactured with the same forms and sections, as well as in the very resistant material, the stainless shiny steel 316 , suitable for outdoors and marine environment with much presence of saltiness and considerable atmospheric agents. 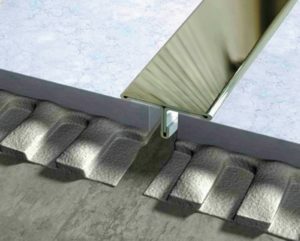 They are used as protection for the external angles of tiles, in order to separate or to create the separating joints in the pavements, to terminate the finishing of wall coverings, for platforms, stair steps, bathtubs, etc. They guarantee the impeccable work, ensuring considerable aesthetic effect as well. They strengthen the tile edge and prevents from chipping and breakages. Required by new European regulations on safety and accident prevention in public and private places. 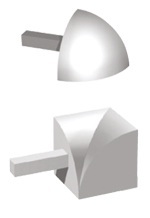 Available in capsules and three-axial joints for internal and external angles in stainless aisi 304. SC in polished painted and chromed brass, it has been produced to give a very shiny finish with a high superficial resistance. 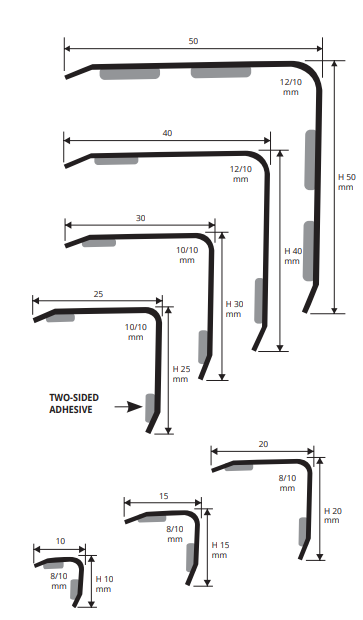 SC facilitates installation, eliminating the fragile ceramic trim. It is used for outside corners of tiles to complete the finish of wall coverings, decking, steps, bathtubs, etc. Impeccable, precise work is ensured with a superior aesthetic effect. It strengthens the tile edge, thereby preventing chipping and breakages. Required by European standards for safety and hygiene in public and private environments. 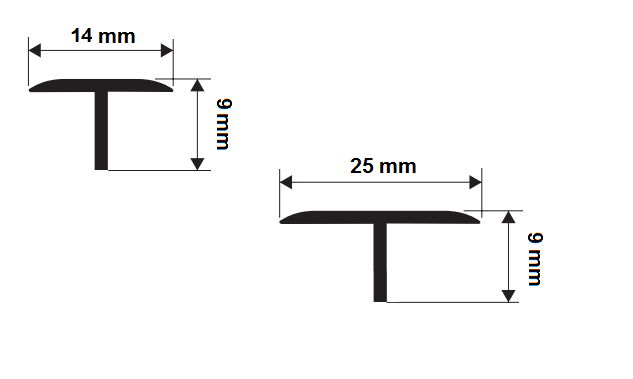 End caps and three-way inside and outside corner linking elements are available. 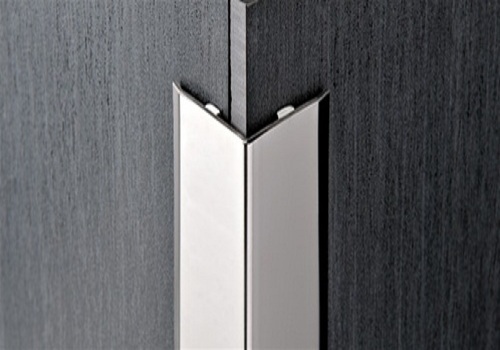 Matching with SPELISTEL strips in AISI 304 polished, Chromed polished aluminium and Chromed Brass is recommended. SC facilitates installation, eliminating the fragile ceramic trim. It is used for outside corners of tiles to complete the finish of wall coverings, decking, steps, bathtubs, etc. Impeccable, precise work is ensured with a superior aesthetic effect. It strengthens the tile edge, thereby preventing chipping and breakages. Required by European standards for safety and hygiene in public and private environments. End caps and three-way inside and outside corner linking elements are available. 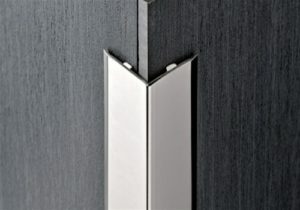 Match with the SPELISTEL strips in anodized or polished aluminium. SC MARBLE is a range of decorative products covered with a strong marbled PVC film in various finishes: white (Carrara) marble, green (Guatemalan) marble, beige (royal yellow) marble, blue marble, pink (Portuguese) marble, green (aquamarine) marble, light and dark travertine, in normal and shaded-off versions. 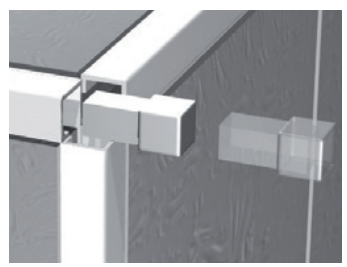 SC MARBLE facilitates installation, eliminating the fragile ceramic trim in completing the finish of wall coverings and vertical or horizontal coverings, etc. It strengthens the tile edge, thereby preventing chipping and breakages. Excellent resistance. Impeccable, precise work is ensured with a superior aesthetic effect. SN is a square corner bead profile in polished, super polished, satin finish stainless steel AISI 304 that can be applied on external corners of coverings. 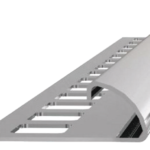 It can be used to close the perimeter of coverings, like a connection profile between step tread and riser of stairs coated with ceramic and natural stone tiles, and also as separation profile for floor and wall coverings. 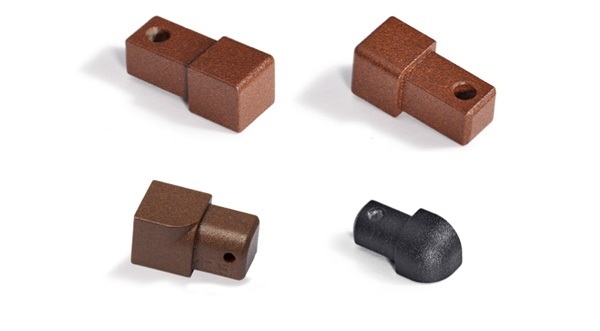 Its particular section, the availability in three different finishes and special pieces such as internal and external corners, end caps and joints make SN a much sought-after profile that allows a workmanlike application even in environments subject to high mechanical stresses. 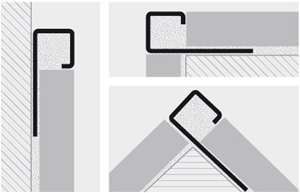 SN is a square shaped as a right angle that is versatile and suitable for various laying solutions, both for floors and coverings. 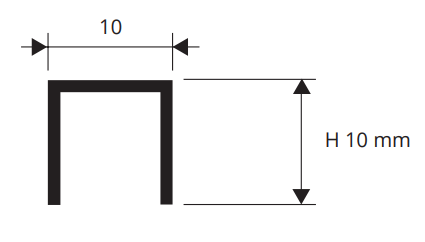 It is used as a staff angle for external corners of tile coverings. 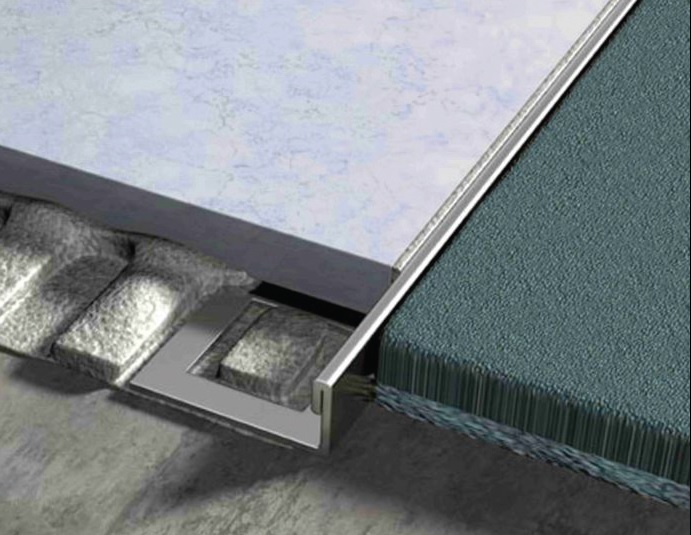 It facilitates laying and eliminates the brittle unpredictability of ceramic tiles. 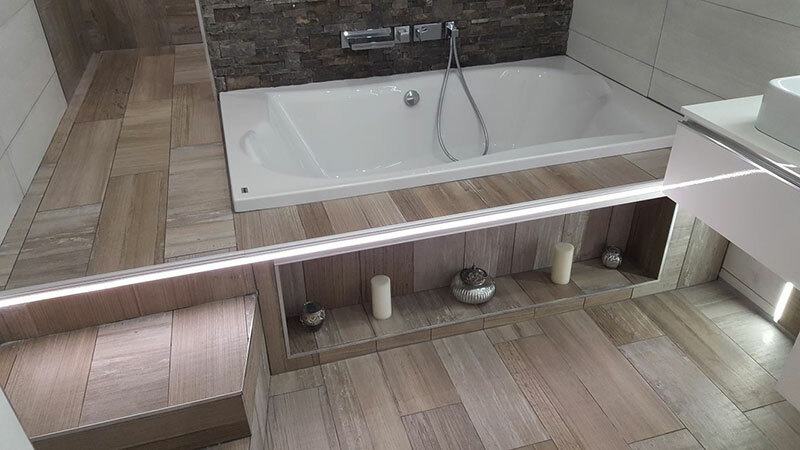 It is also used as a finishing square for finishing wall coverings, raised platforms, steps, and baths, and is used as an edge and a skirting board for parquet, natural stone, moquette and epoxy resin coverings. It guarantees flawless work done with care that is of great aesthetic merit. 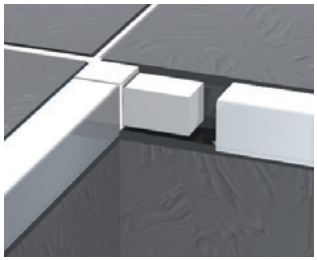 It strengthens tile edges with a square finish, protecting corners efficiently, avoiding chipping and breakages resulting from knocks. This is required by the new European regulations on safety and accident prevention in public and private places. 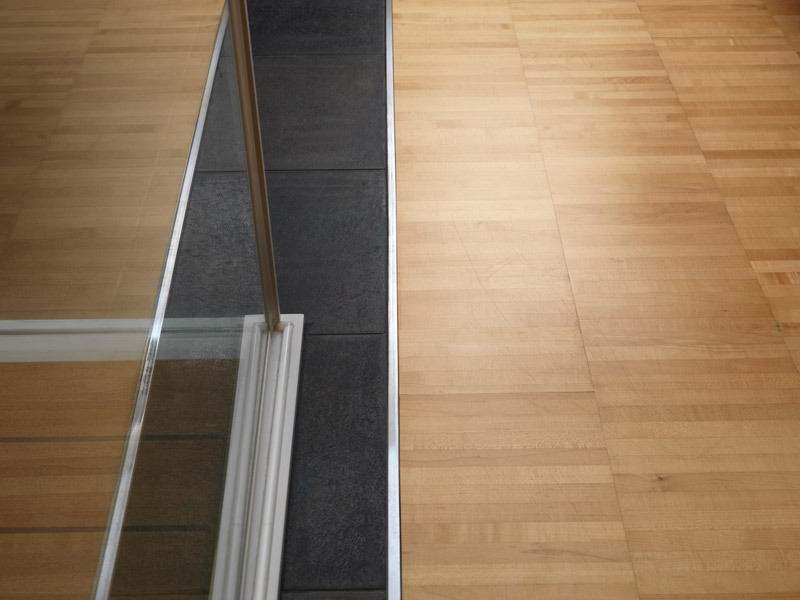 It is applied at the end of the laying process between two adjoining floors placed at the same level, with a gap of 3 to 6 mm between the two kerlite /laminam/ or thin ceramic tile floors laid with the adhesive. It protects the external edge of the floor/covering. It is easy to lay and aesthetically pleasing. 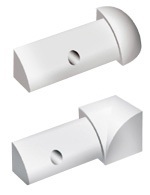 The design of the profile with lower vertical arrowhead part allows excellent anchorage with silicone / adhesive. 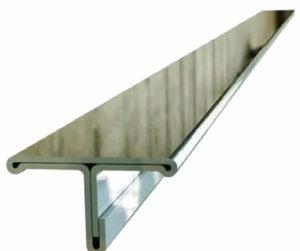 AC consists of a vast range of corner guard profiles used to protect and cover the most exposed part of any type of wall covering and existing edges. AC is made in polished stainless steel in four different widths to meet all technical and aesthetic requirements. Available with self-adhesive backing. Its high impact-absorption properties ensure that it complies with compulsory EUROPEAN standards for covering chipped or hazardous edges. It is mainly used in the industrial, food and commercial sectors and where traffic is intense. 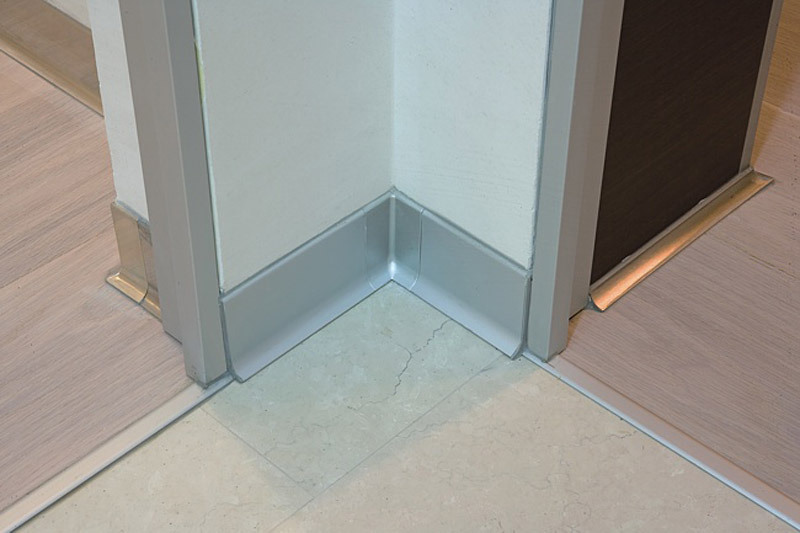 OT consists of a vast range of corner guard profiles used to protect and cover the most exposed part of any type of wall covering and existing edges. OT is made in Chromed and polished brass in different widths to meet all technical and aesthetic requirements. Available with self-adhesive backing. Its high impact-absorption properties ensure that it complies with compulsory EUROPEAN standards for covering chipped or hazardous edges. It is mainly used in the industrial, food and commercial sectors and where traffic is intense. 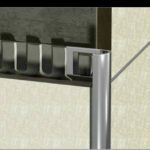 AL consists of a vast range of corner guard profiles used to protect and cover the most exposed part of any type of wall covering and existing edges. AL is made in anodized aluminium in the size 25 x 25 mm. Available with self-adhesive backing. Its high impact-absorption properties ensure that it complies with compulsory EUROPEAN standards for covering chipped or hazardous edges. It is mainly used in the industrial, food and commercial sectors and where traffic is intense. 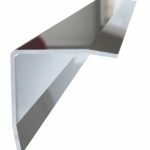 PVC consists of a vast range of corner guard profiles used to protect and cover the most exposed part of any type of wall covering and existing edges. 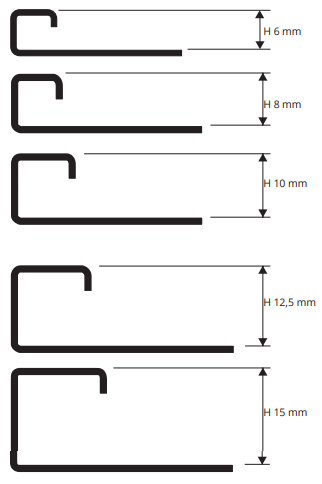 PVC is made in the sizes 25×25, 30×30, 40×40, 50×50 mm. Available with self-adhesive backing. Its high impact-absorption properties ensure that it complies with compulsory EUROPEAN standards for covering chipped or hazardous edges. It is mainly used in the industrial, food and commercial sectors and where traffic is intense. 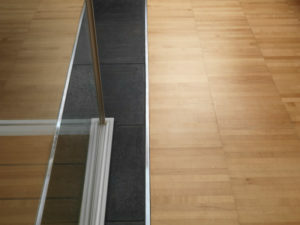 SU is a channel for joining floors and also for use as strips in wall coverings. This profile is made in natural, polished and chromed brass as well as natural or anodised silver aluminium. 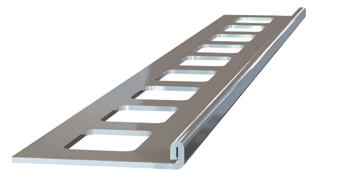 It is also used as a cable channel for the insertion of wires and conduits in all types of floor.